The Cuisinart CGC-10118 is an universal kettle cover. It protects any 18" kettle grill from the elements. 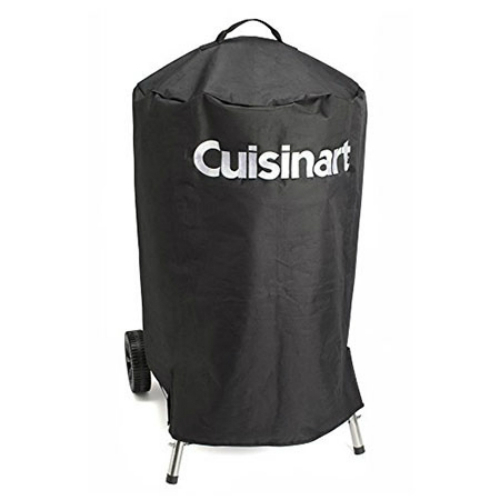 The water-resistant nylon fabric allows grill or smoker to be left out in the rain without worrying about serious water damage to cooker. Velcro straps create a secure fit by strapping to the legs of grill or smoker. The Cuisinart 18 Inch Universal Kettle Cover has many exciting features for users of all types. You can extend the lifetime of your Cuisinart 18 Inch Universal Kettle Cover with the purchase of a FactoryOutletStore Factory Protection Plan. 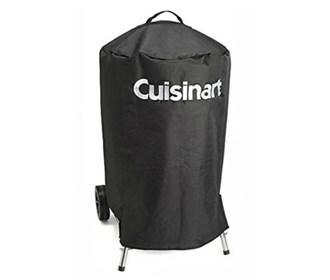 See the Cuisinart 18 Inch Universal Kettle Cover gallery images above for more product views. The Cuisinart 18 Inch Universal Kettle Cover is sold as a Brand New Unopened Item.